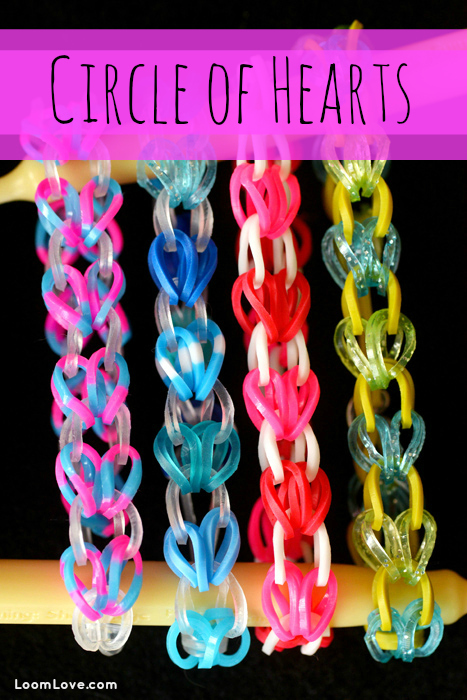 Hearts are always in style – especially Rainbow Loom Heart bracelets! 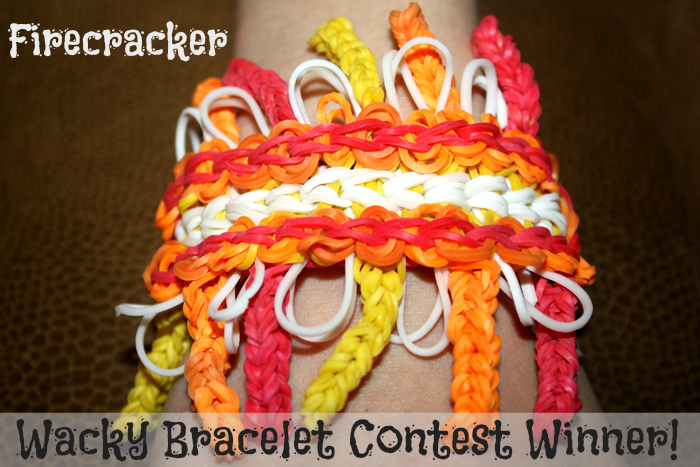 Congrats to Brooke, the winner of our inaugural Wacky Bracelet Contest! 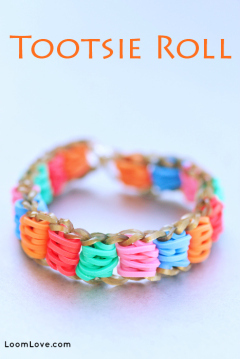 Brooke’s Firecracker bracelet got the most votes from our Facebook fans. 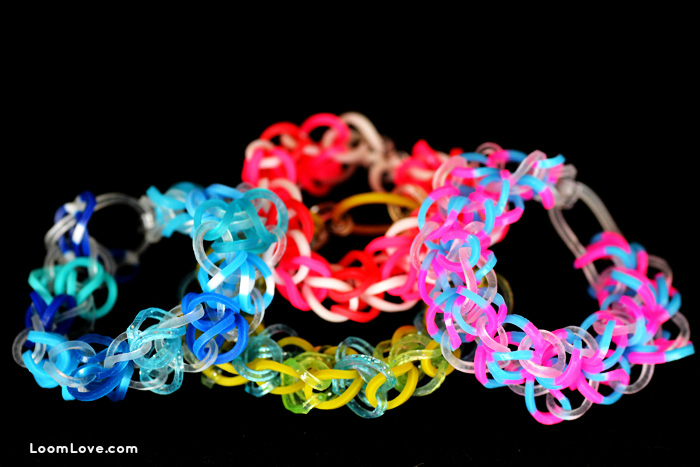 We had heaps and heaps of entries for the Wacky Bracelet contest and we were blown away by the creativity of our fellow loomers! 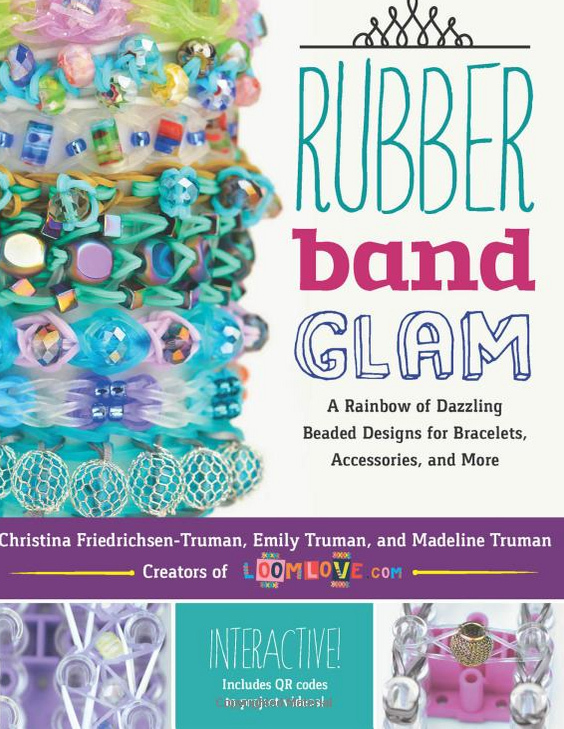 We had so much fun looking at all of the wacky and wonderful entries. 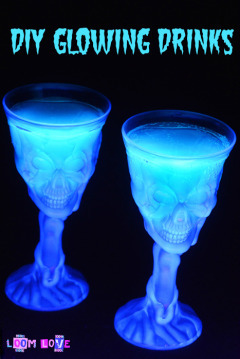 Thanks so much to all of you who entered our contest. 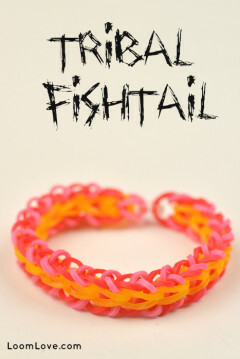 We will be having another contest soon. In second place was All Eyes on You by Kerry and Autumn. 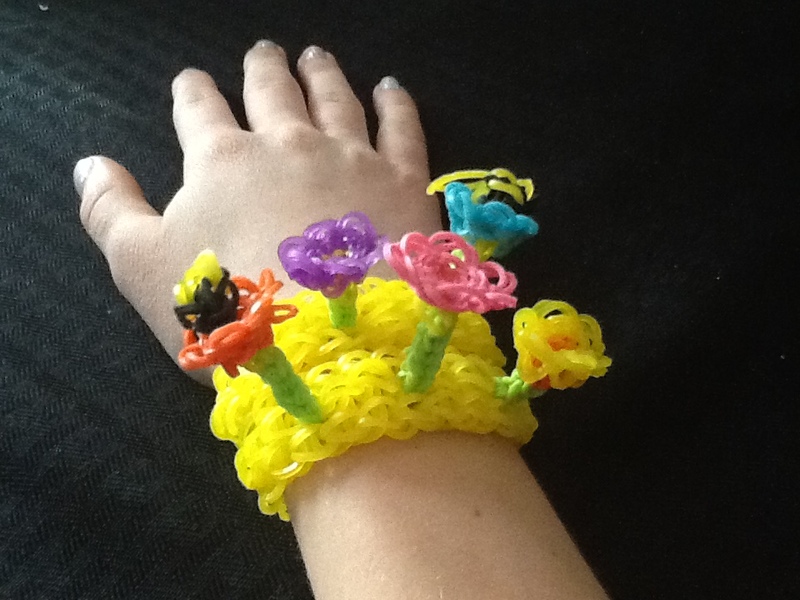 Third place was Flower Garden with Little Bees by Isabella. 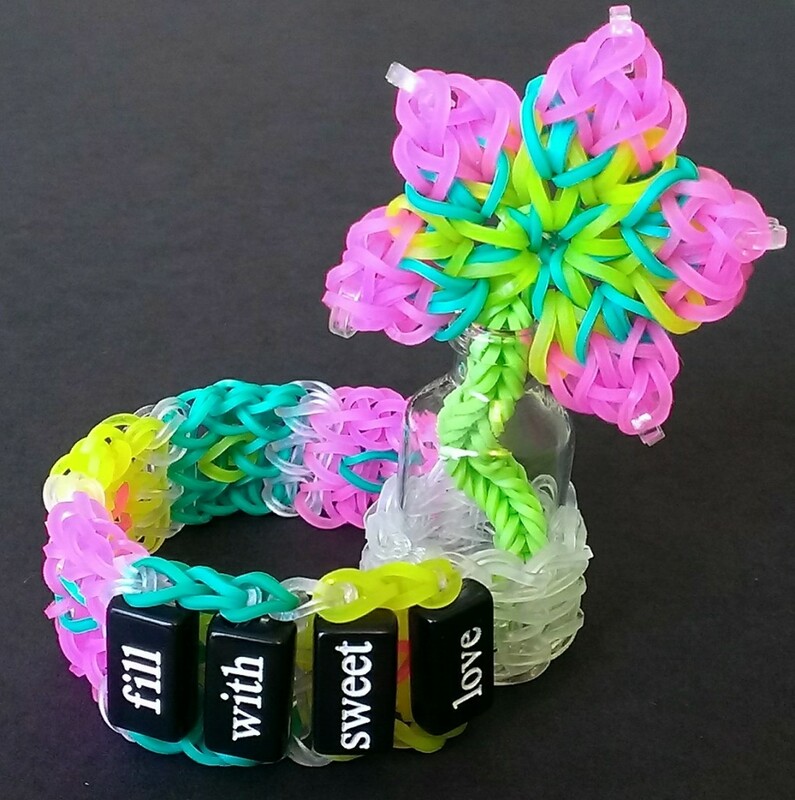 Fourth place was Fill with Sweet Love by mmeleanne. 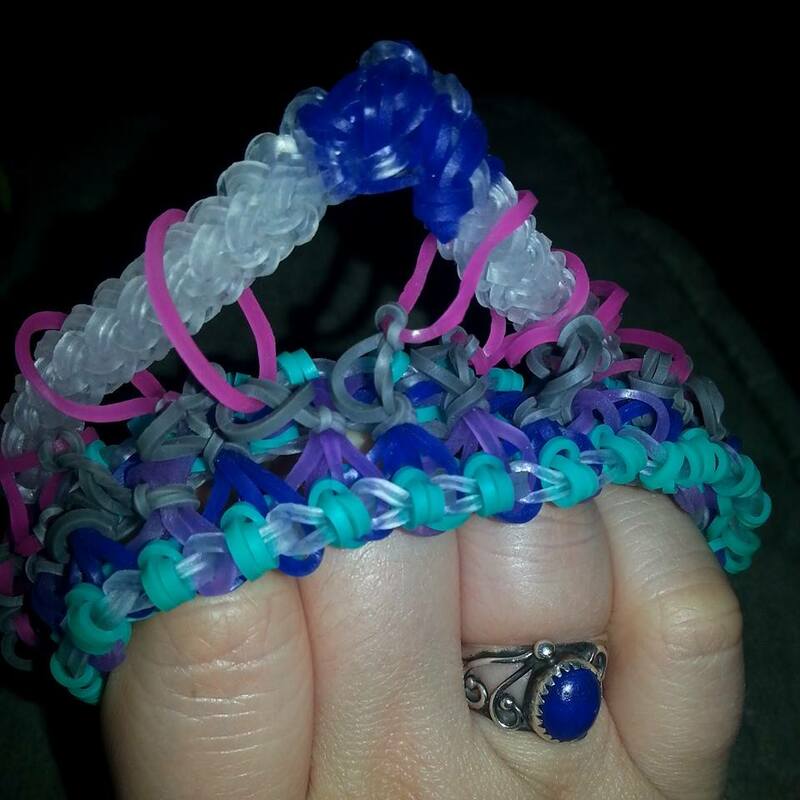 And fifth place went to Floating Tiara by Nazhoni. Hearts are in season (they’re always in season! 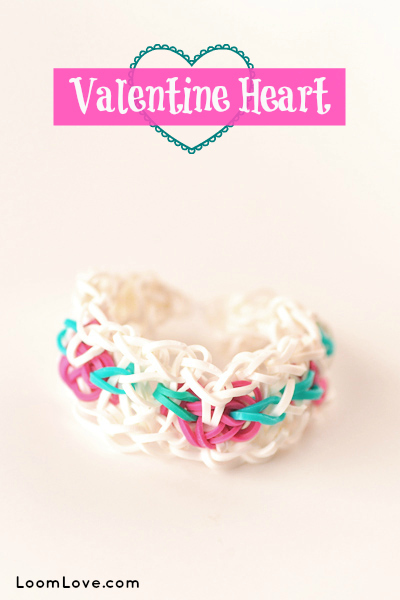 ), so we decided to give this Valentine Heart bracelet by Youtube’s quaack a try. 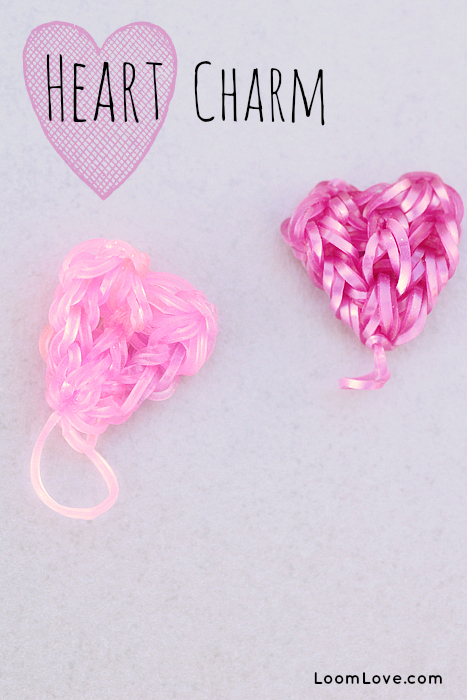 With Valentine’s Day just around the corner, we thought we’d give these little heart charms by ElegantFashion360 a whirl. 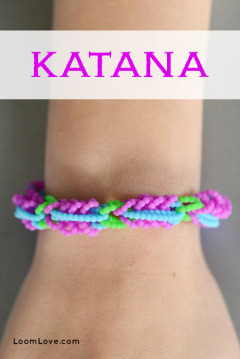 Don’t you hate it when you get all excited because you think that you’ve invented a brand new Rainbow Loom pattern and then you discover that it’s already out there? 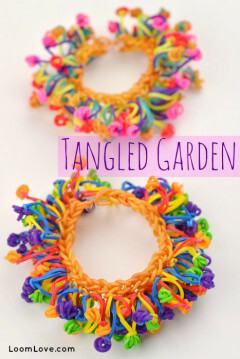 That’s exactly what happened to us with this bracelet. 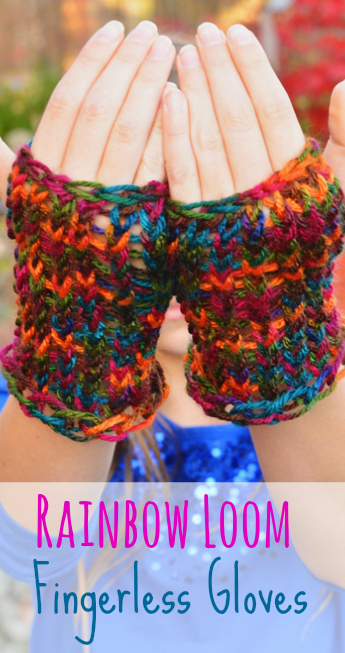 We made several of these before discovering that this pattern was called the Chevron, and it was all over Youtube. 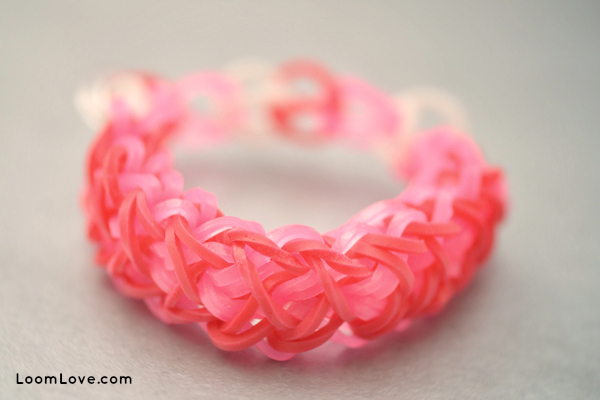 Our bubble burst pretty quickly, but we perked up when we realized that we used an EASIER technique to make this design. 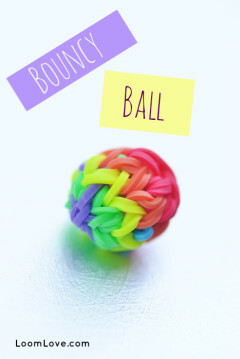 It’s so easy, you’ll be whipping these up in no time – and your friends will be VERY impressed. 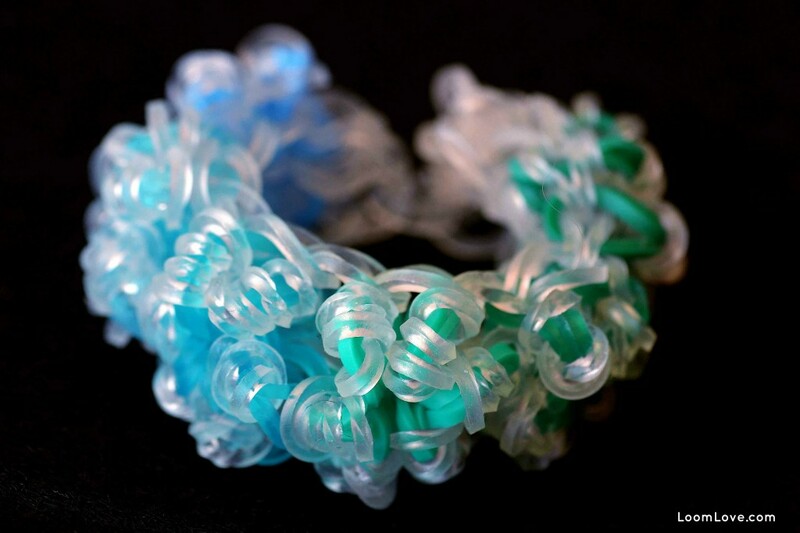 This is one of our favorite bracelet designs – as you can tell! 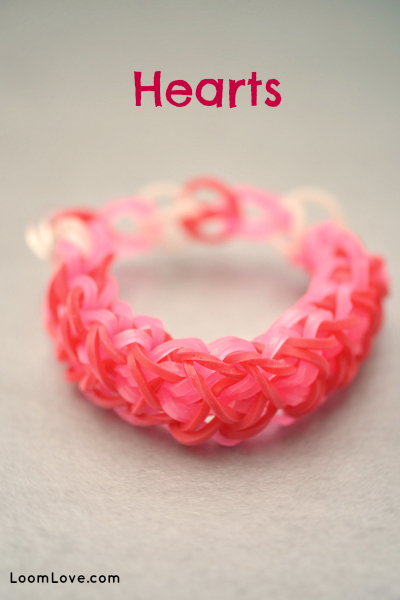 We must have had candy on the brain when we came up with this Rock Candy Rainbow Loom bracelet design! 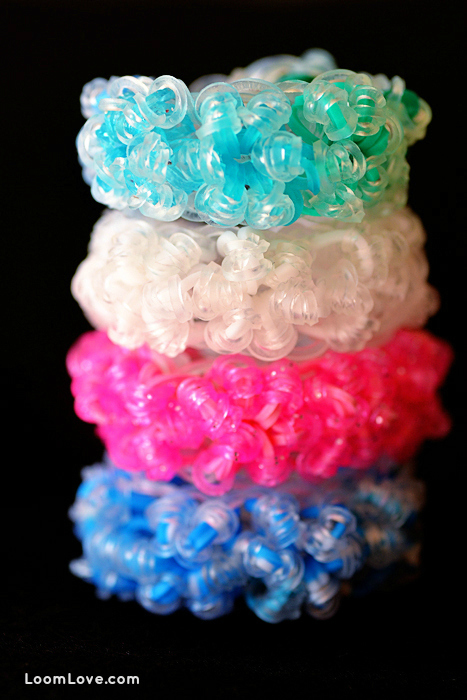 Truth is, we’ve always wanted to make our own rock candy, but we never got around to it. 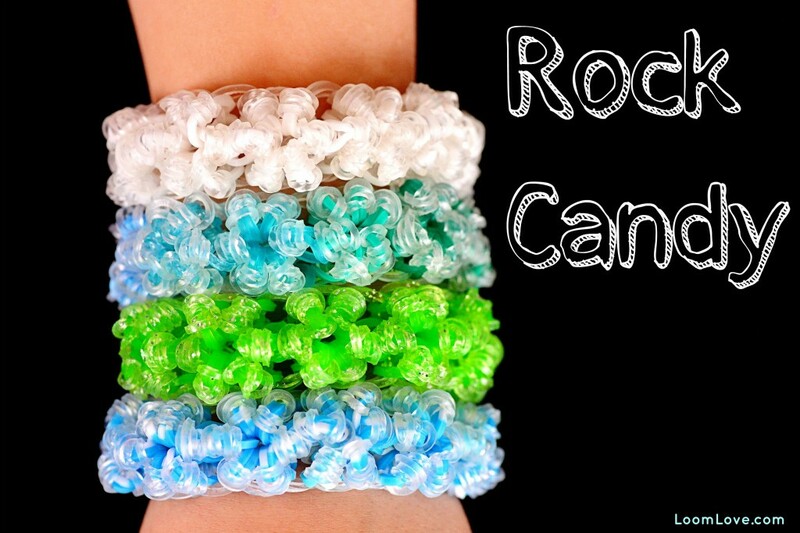 A Rainbow Loom Rock Candy bracelet is the next best thing! 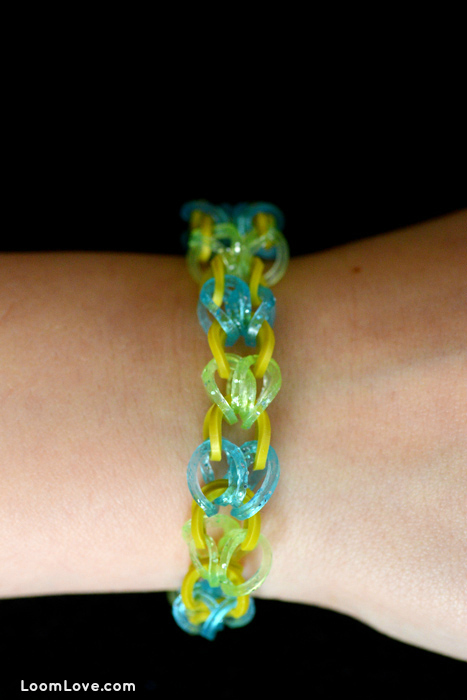 This is one of our all-time favorite Rainbow Loom patterns. 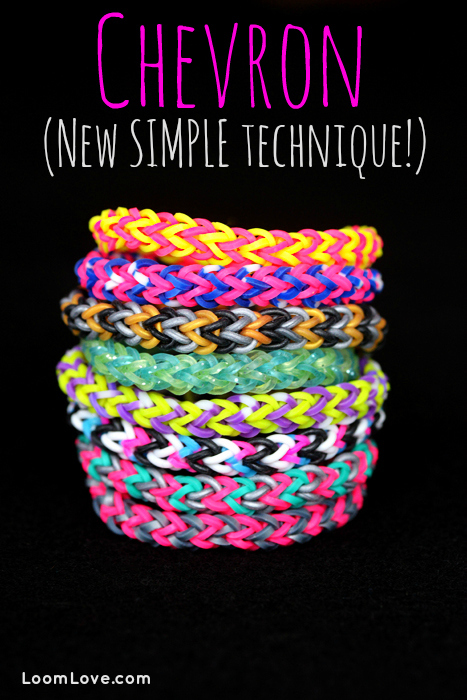 It’s not that complicated – but it is time consuming. 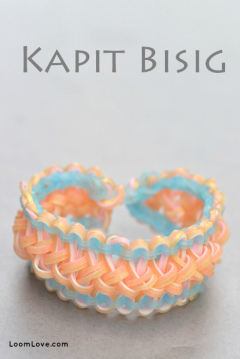 To get the rock candy effect, use clear bands or glitter bands, along with a solid colour. 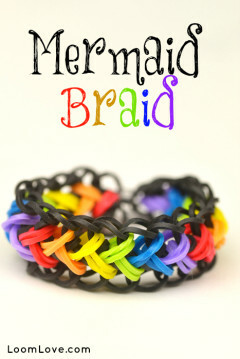 It looks great in any colour! 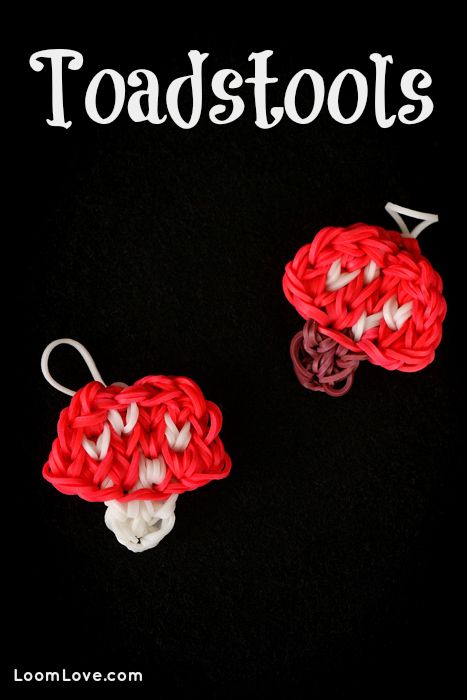 We recently watched Smurfs 2 and were inspired to make some Smurfy Rainbow Loom Toadstool charms. 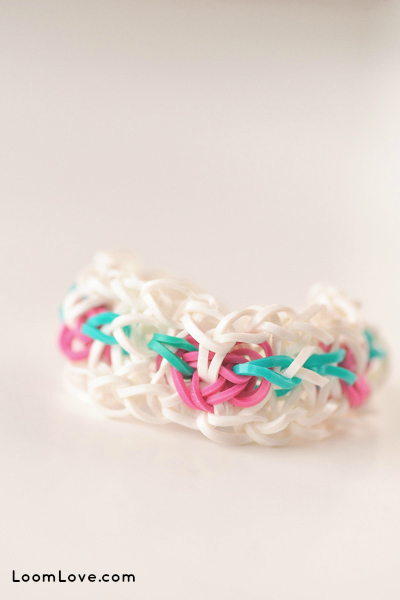 You can make them in any color, but they look the Smurfiest when you use red and white bands. 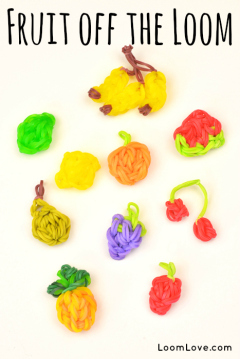 These charms are small enough to attach to any Rainbow Loom bracelet. 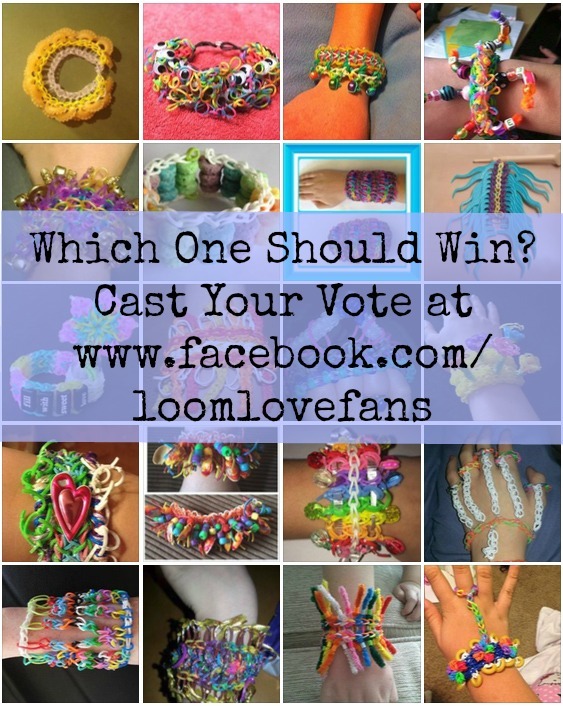 Hey Loom Love Fans, it’s time to vote! 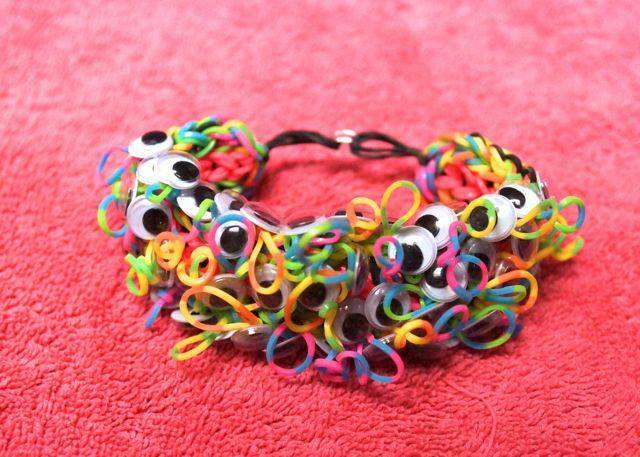 We have chosen our 20 favourite Wacky Bracelets. It was a VERY tough decision! 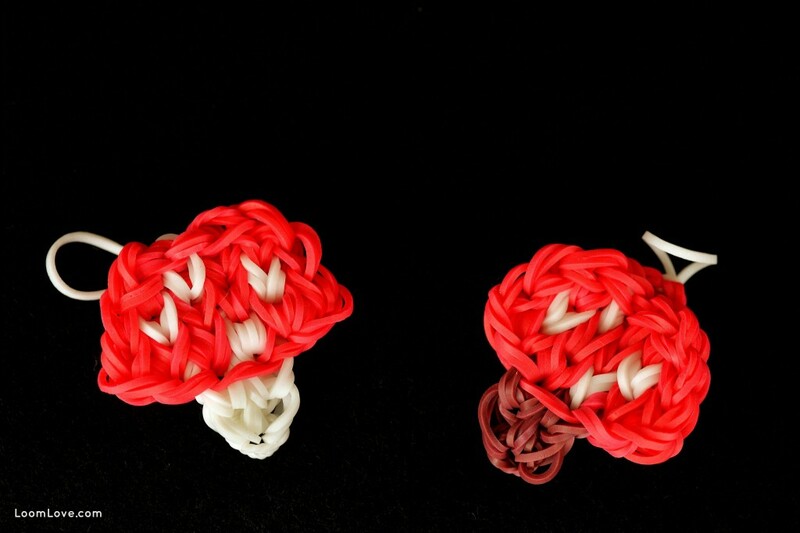 We had oodles of entries – and lots of amazing, wacky creations to look through. 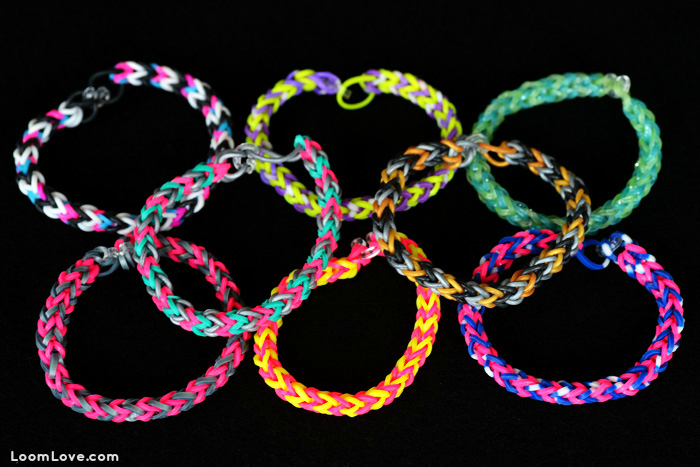 Thanks so much to everyone for participating in this fun contest. We will be having another one soon, so stay tuned! 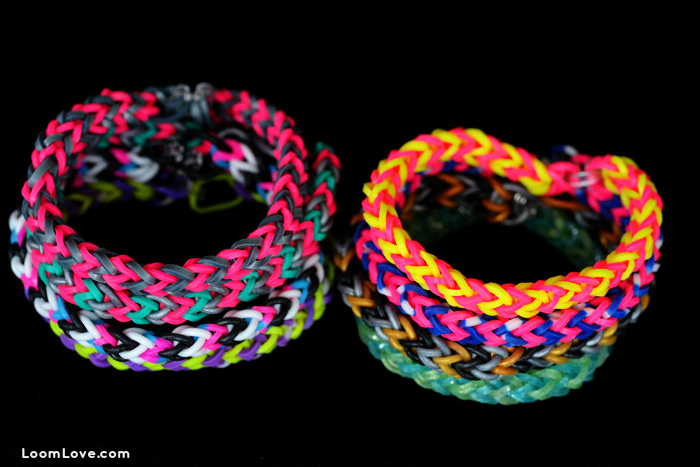 Meantime, please ‘like’ your favorite bracelet here. Facebook fans will have until 11:59pm Eastern, Feb. 7, 2014 to vote. 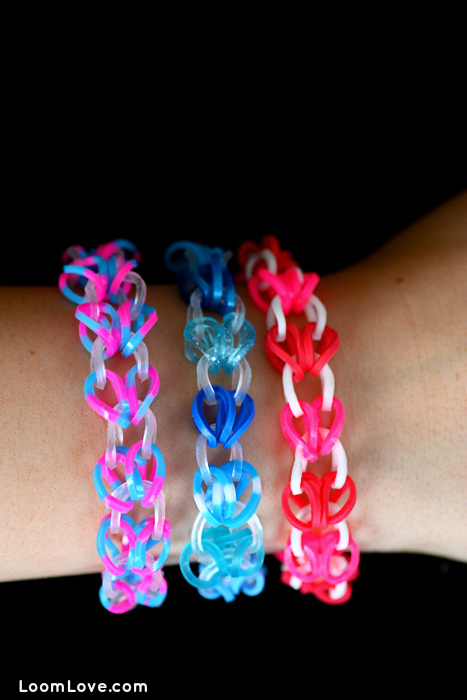 The bracelet with the most Facebook ‘likes’ wins. 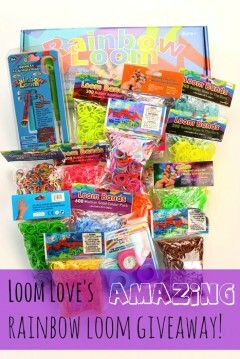 Contest winner will be announced on LoomLove.com and Facebook on Sunday February 9, 2014. 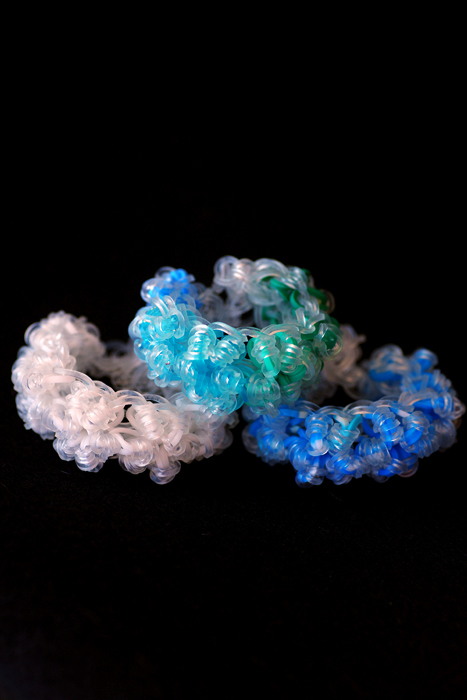 Contest is open to residents of the US and Canada. Good luck everyone! Vote here. 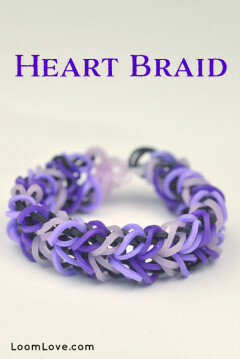 Comments do not count as votes; you must like the bracelet on Facebook.